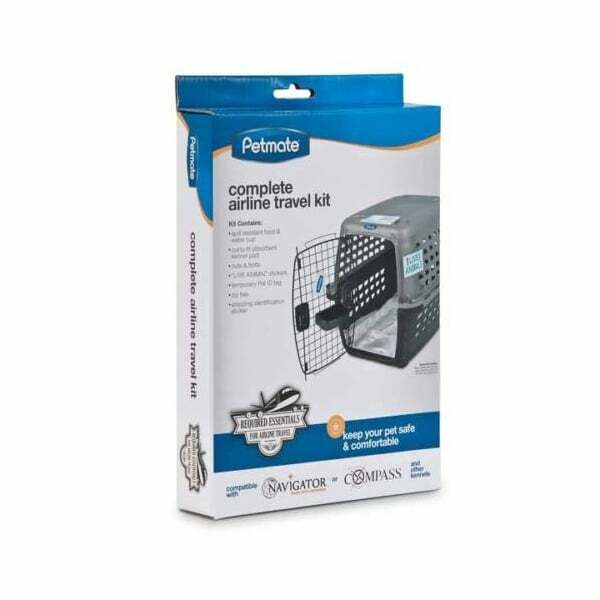 Traveling with pets can be a hassle, but the Petmate® Kennel Airline Travel Kit makes it easier! 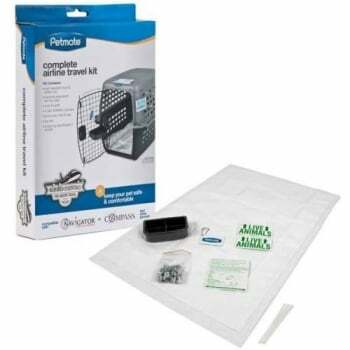 Featuring a food and water cup, absorbent kennel pad, temporary Pet ID tag, and more, this kit includes everything you need to transform an ordinary kennel into a comfortable and secure airline travel compartment! 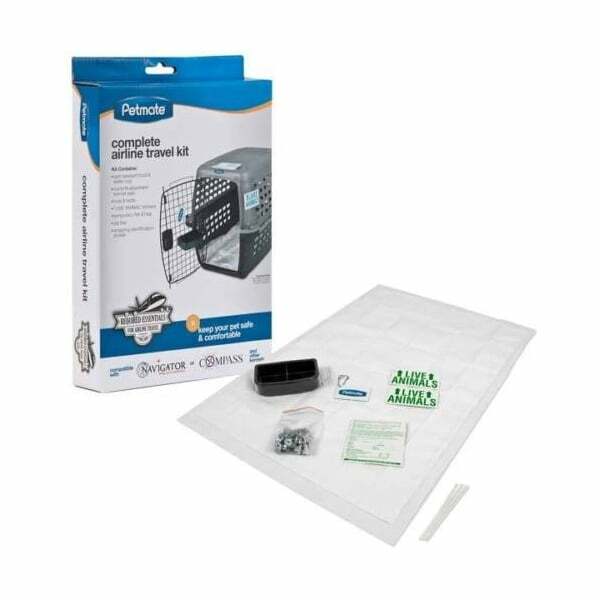 Safe for both dogs and cats. 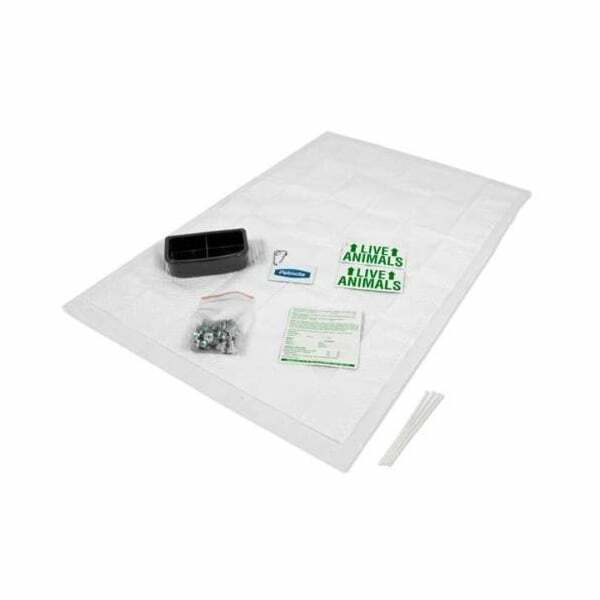 Safe for both dogs and cats. Compatible with Petmate® Kennel models. Nuts and bolts included: Twelve 1¼" bolts, five 1¾" bolts, five 1" bolts, 12 washers, and 12 nuts.